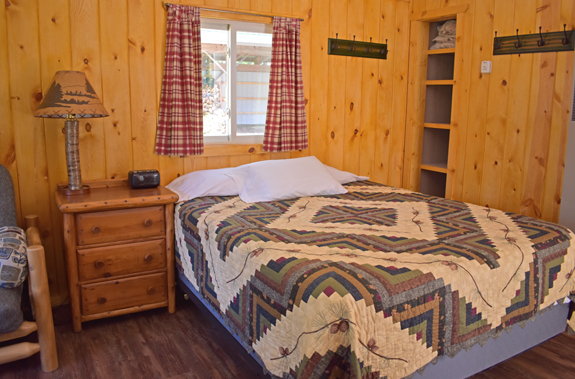 Cabin 6 delivers the "UP Experience" with queen bed, futon, ceiling fan, living space, bathroom w/ shower, and close to the beach and dock. 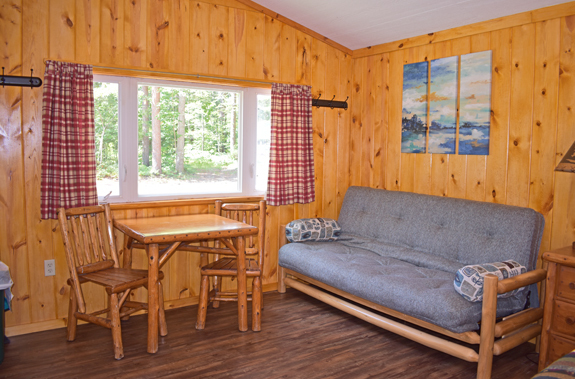 Cabin comes with Knotty pine decor and handmade oak furniture. 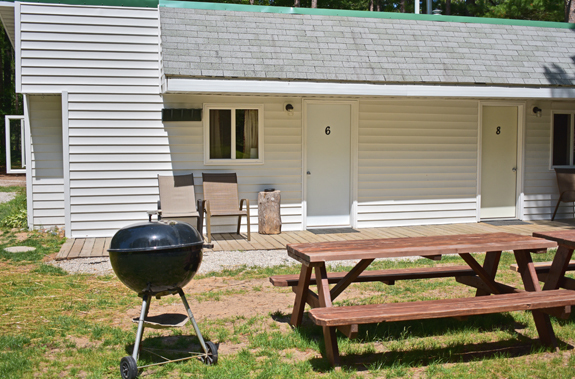 A beautiful setting in the woods and on the lake that will provide fun for all ages. 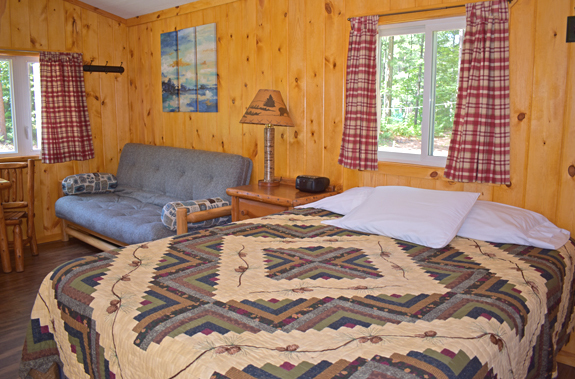 Consider Deer Park Lodge resort for a relaxing time on the beach watching gorgeous sunsets. 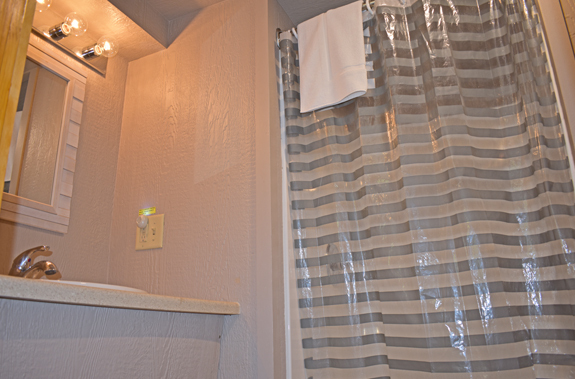 There is a 3 day minimum for all cabin rentals year-round. 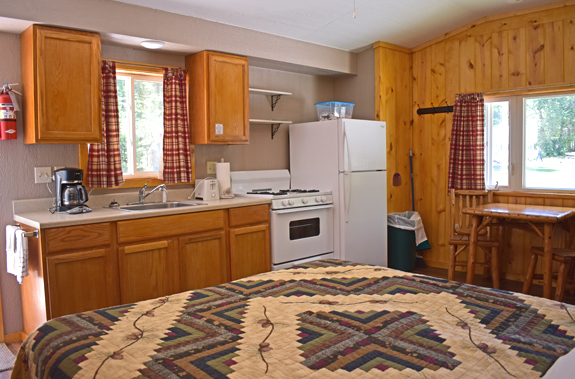 From Memorial Day to Labor Day, the cabins are rented from Saturday to Saturday. 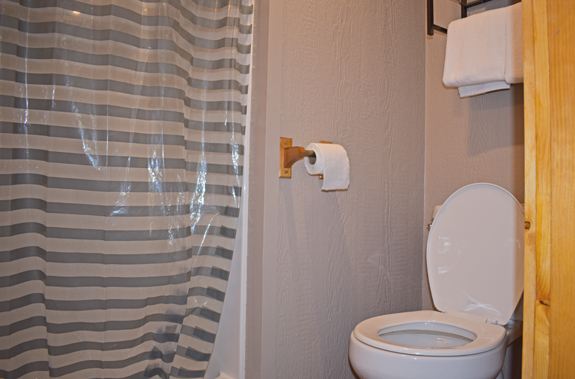 Free Rowboat with every Cabin Rental! 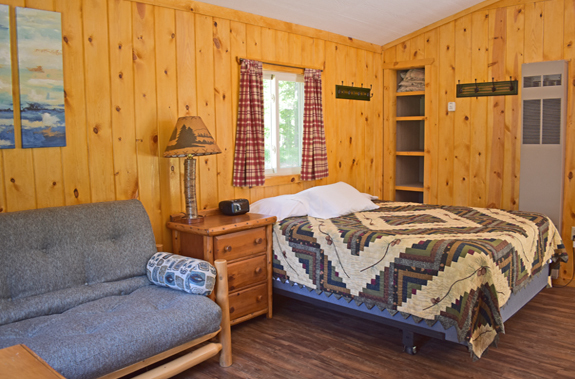 Tahquamenon Falls Brewery and Pub, Restaurants, Musesums, Lighthouses, Oswald's Bear Ranch -- visit our Attractions page for a full list.